Here are some listening exercises. A story about the origin of Thanksgiving, a short Tnaksgiving dinner ad and a recipe How to make a Pumpkin pie. Happy Thanksgiving to everyone!!! 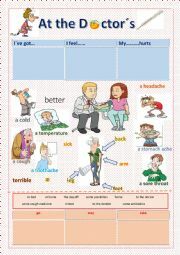 A worksheet you can use while teaching vocabulary: At The Doctor´s, Not Feeling Well etc. 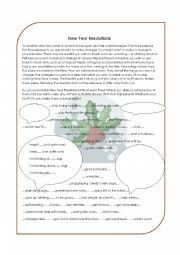 I will publish another worksheet with speaking excercises you ca use along with this one. Hope you like it. 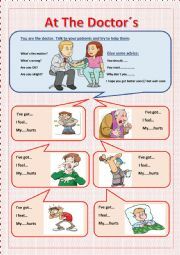 A worksheet with speaking cards you can use while teaching vocabulary: At The Doctor´s, Not Feeling Well etc. Hope you like it. 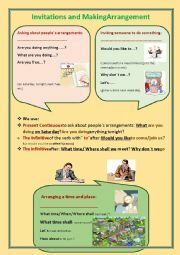 Simple and useful questions used in everyday English when inviting someone and asking people about their arrangements. An extra activity for my classes on Face2Face Pre-intermediate, Unit 9D. You can also use it in any coversation class. 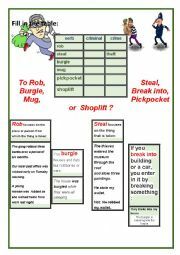 A useful worksheet teaching vocabulary that goes with any lesson about Crimes and Criminals. Explains the difference between rob, steal, burgle, thief etc. 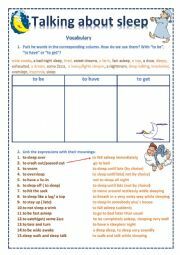 You can use this work to talk with students about their New Year´s Resolutions. 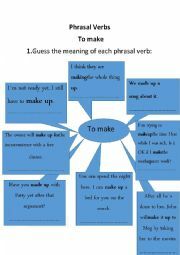 Here you are a worksheet with the phrasal verb TO MAKE. Very useful for those having problems with th phrasal verbs. A perfect song while teaching Future GOING TO and GONNA. 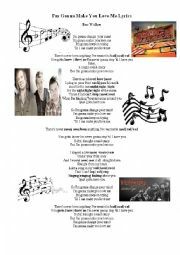 Students enjoyed it.I´M GONNA MAKE YOU LOVE ME by DOC WALKER. Hope you liked it too!